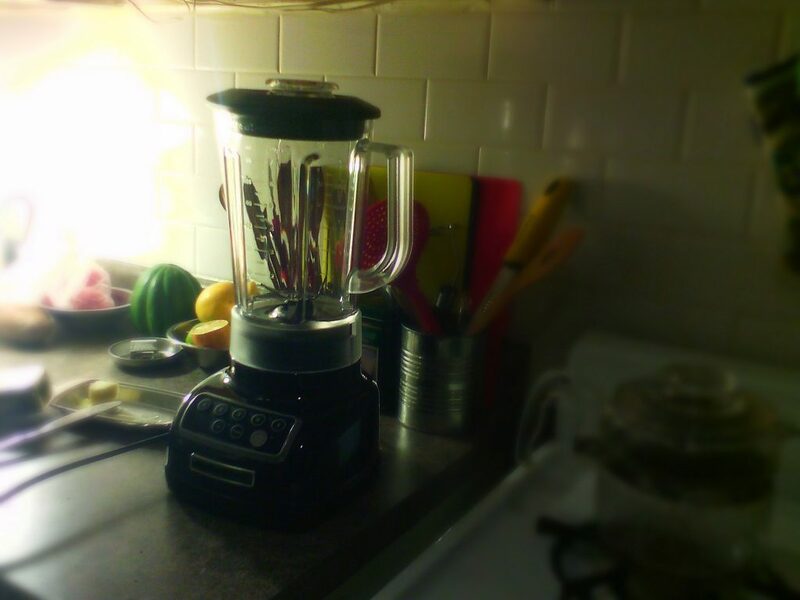 My past experiences with blenders have been less than pleasant because I was deprived of ninja blenders. Messy counters, dull blades, hard to clean pieces, the smell of a burnt-out motor. The list of headaches common with second-rate, unprofessional blenders goes on and on. Despite the fact that I loved smoothies, the many issues that I came to loathe kept me from enjoying them. Almost as soon as I felt a smoothie craving arrive, it was replaced by the many memories of frustration. I would rather do anything else than pull that old, clunky blender out of its corner and attempt to use it. I thought, “No delicious treat is worth that hassle!” What I have discovered since is that a better way exists. With the right equipment, I could enjoy fresh and frozen refreshments once again! If you can relate to these hassles, then this best Ninja Blender review is exactly what you need. We have boiled down our recommendations to the best products, in order to help you enjoy blended foods the way you know you can. Discovering the best blender for you comes down to knowing what you want and need out of your blender. The good news is that a variety of different Ninja Blenders exist to cater to your specific needs. Big or small, powerful or simple, there is a great chance they have what you are looking for. Whether you need a focus on quick, simple, and single or something a little more versatile, advanced, and party pleasing, you are in luck. Our Ninja Blenders comparison will assist you in choosing the best one based on your lifestyle. In this review, we will take a closer look at some of the most cutting-edge Ninja blenders available on the market today. As I discovered when I finally threw out my old and outdated blender, there are more to these contraptions than meets the eye. The unfortunate truth is that the majority of blenders on the market just don’t cut it. While all blenders share a common thread of using motors that quickly spin cutting blades, not all are created equal. Many blender manufacturers simply overlook important aspects that go hand in hand with blending. These include assembly and disassembly, cleaning and maintenance, and multi-functionality to name a few. When you use one, it becomes quite evident that there was a lack of time and effort spent to accomplish more than just blending. As I have experienced, even a machine that does the best blending in the world is not worth the trouble if it is difficult and clumsy to use. Even further off-putting is if it is followed by a nightmarish mess to clean up after. Through a combination of world class design, engineering, and manufacturing, Ninja rolls out a consistent line of blending solutions that are innovative, easy to use, and competitively priced. With a long and successful history in the market, Ninja knows blenders. They recognize that consumers have a wide variety of needs (even some you didn’t know you needed!) and they continuously try to meet them all. For example, one common blender blunder is their notorious reputation of being difficult to clean. 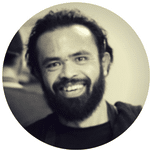 With Ninja, they have taken aim at this issue to accomplish a combination of superior functionality that makes clean-up a breeze. To do this, Ninja takes extra care to design components in a way that avoids sharp corners, nooks and crannies that are difficult to reach. The results are smooth and easy to clean surfaces with no place for dirt, gunk, and grime to hide. Ninja has met us halfway by providing state of the art blenders that have your concerns in mind. Improvements and upgrades rank high on their priority list, as they strive to deliver products that improve the quality of life in the kitchen. That leaves each of us with the important task of choosing the perfect blender that we will love to use. This is the step that Ninja can’t do for you, but we are hoping to bridge that gap for you and help you make the best decision. As a general rule, most blenders can be classified under two broad categories. The first is a personal blender. Often referred to as “single-serving” blenders, these types are designed to do just that: provide a single serving for one person. 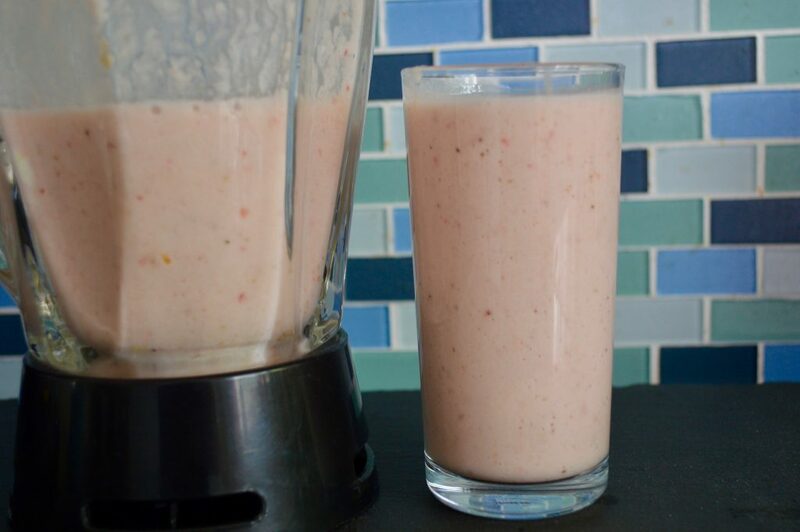 This is ideal if you are making a blended treat for yourself, typically on the go. To streamline your day, personal blenders are best if they are compact and very simple to operate and clean. 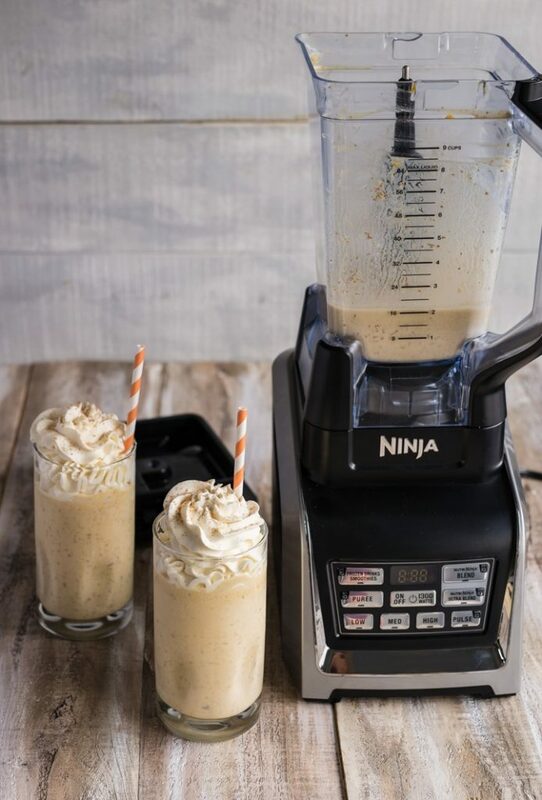 Whether you find yourself headed to work in the morning or coming back from an intense workout at the gym, a small ninja blender will take the hassle out of making your blended foods. 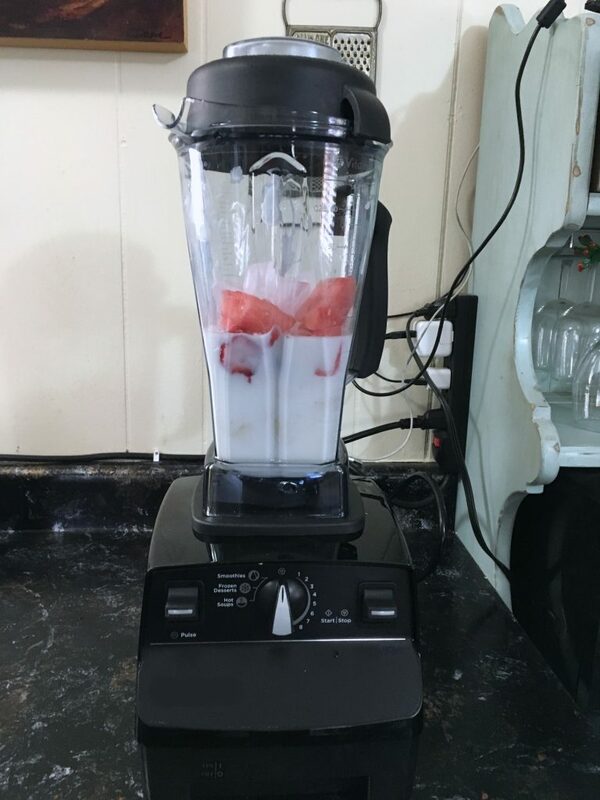 This is important because many of us who do enjoy blended foods are turned off by the amount of time and effort involved with traditional blenders. If we are forced to choose between getting to work on time and having a deliciously blended breakfast, we know that work wins. Every time. A good personal blender eliminates the need to choose and instead allows us to enjoy both. Every time! The second style of blender are full size blenders, commonly known as blender systems. As you would expect, these systems usually feature larger containers that often come in different shapes and sizes. In addition, tools and accessories for any number of specific applications can be purchased as part of a package deal, or separately as an add on. The increased size and complexity allows a user to get the most out the blender. From smoothies to baking (yes, baking! ), they can likely handle any task you can dream up. 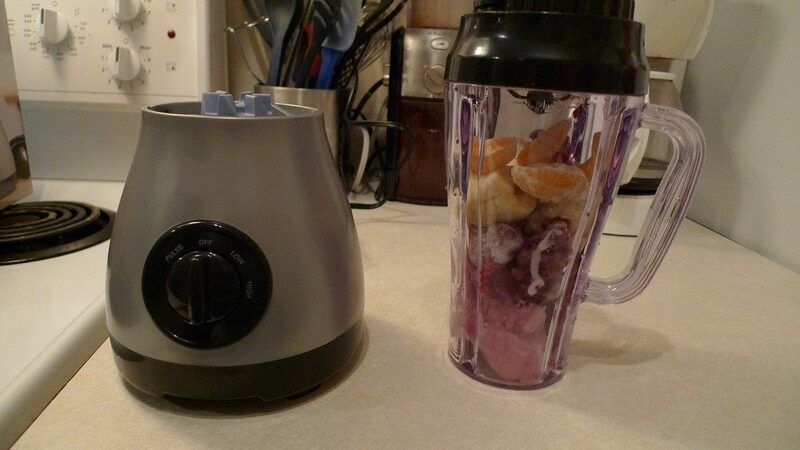 While it is true that no one blender accomplishes it all, Ninja does a great job of balancing the trade-offs. 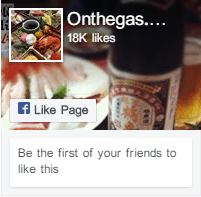 Anytime possible, they focus on adding new functionality without detracting from other key features. Also, just because it adopts the full-size capacity of traditional blender doesn’t mean that it comes with all the hassle. 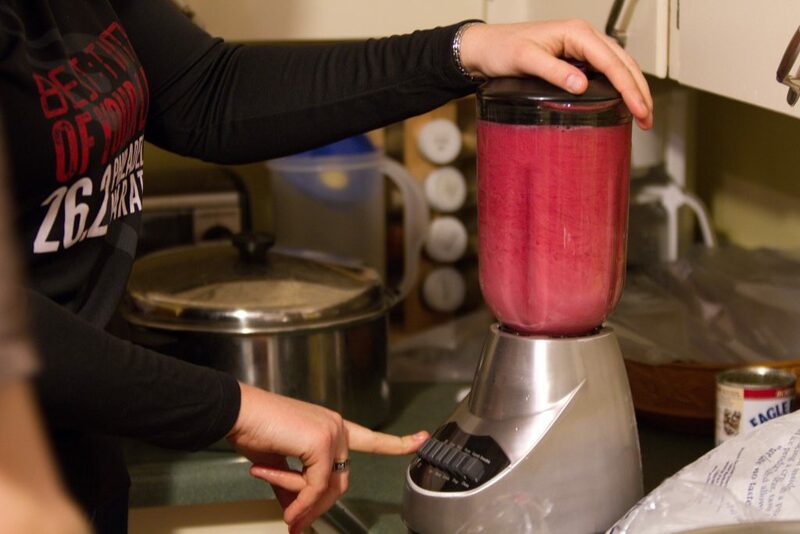 Following in the footsteps of their personal products, Ninja blender systems are still easy to use and clean. Let’s start with something outstanding, yet simple. This single-serving option is a Ninja Blender for smoothies and juices. A 900-watt motor and specially designed blades work together to easily break down food, vegetables, and ice. This is critically important for extracting the most nutrients possible from the blended fresh foods, even down to the skins, stems, and seeds. Designed with simplicity, speed, easy cleaning, and your busy life in mind, this little blender packs a big punch. Don’t have time in the morning to fumble with all the ingredients, pack them into the blender, and then clean up after yourself? No problem! With the BL456, you can place the fresh ingredients into the Nutri Ninja cup ahead of time. Then when you are ready, simply place the cup upside down on the base and press it down to blend. With no buttons, dials, switches, or even cords, the BL456 is always ready when you are! After your smoothie or juice reaches the desired consistency, let up on the cup to stop the blades from spinning. Got stubborn chunks and bits stuck in the bottom of the cup? Gently tap the sides and bottoms to break them loose, and then manually “pulse” the blender by pressing down and releasing every few seconds. In doing so, you will finish off those stragglers without ever opening the cup. When you are running behind and can’t afford to miss the bus, just grab, blend, and go! The Nutri Ninja cups are easily removed from the base of the blender and even come with specialized flip lid covers to promote easy sipping. Being able to leave the smoothie in the container that blended it eliminates the time and mess of transferring to another cup and saves you from dirtying more containers. This means no mess when you start, no mess when you leave, and no mess when you return. Also, the BPA free and dishwasher safe parts make for easy clean-up of the blender’s mechanical components. “On the move” friendly design that goes where you go! Simple, durable construction: no buttons, switches, cords, or fuss! Two size options for the cups, 18 oz. and 24 oz. The gasket in the blender base is not easy to remove for cleaning. If not cleaned on a regular basis, it can get dirty and moldy. Our next featured blender is built for more than just single serve smoothies. With a powerful 1,100-watt motor, the BL660 easily and professionally crushes even the most tough frozen fruits and ice cubes. Along with this added power comes extra functionality. This includes three variable speed settings, pulse, and single serving mode. Fresh fruit? Easy peezy! Frozen fruit and ice? Bring it on! By choosing the right setting, you will be able you to easily produce the outcome you want. Whether you are using the 16 oz. personal cup, or the 72 oz. Total Crushing Pitcher, perfectly pulverized drinks are not far behind. Unlike scores of other full-size blenders, the BL660 will not leave behind an annoying, lumpy texture or stubborn ice chunks. You won’t have to feel sorry for the poor sap that gets the last bit from the bottom of the blender. Using a specially designed stacked blade assembly, even the biggest batched blends are smooth down to the last drop. This means the big pitcher is ideal for larger groups, making enough for up to four 16 oz. drinks at the same time. Spend less time fighting with cheap and ineffective kitchen appliances and get a Ninja Professional Counter Top Blender, BL660. In no time at all, you can become everyone’s hero. Need a snack for a dozen out of control kids at your son’s birthday party? How about refreshingly cool drinks to enjoy in the hot sun during the neighborhood barbecue? Use the Total Crushing Pitcher to stay ahead of the crowd and beat the heat. Free up your time and energy to be the host your friends and family deserve. You and your guests will know the difference. Different sizes of containers, ranging from 16 oz. to 72 oz. This next Ninja product takes blending to the next level. 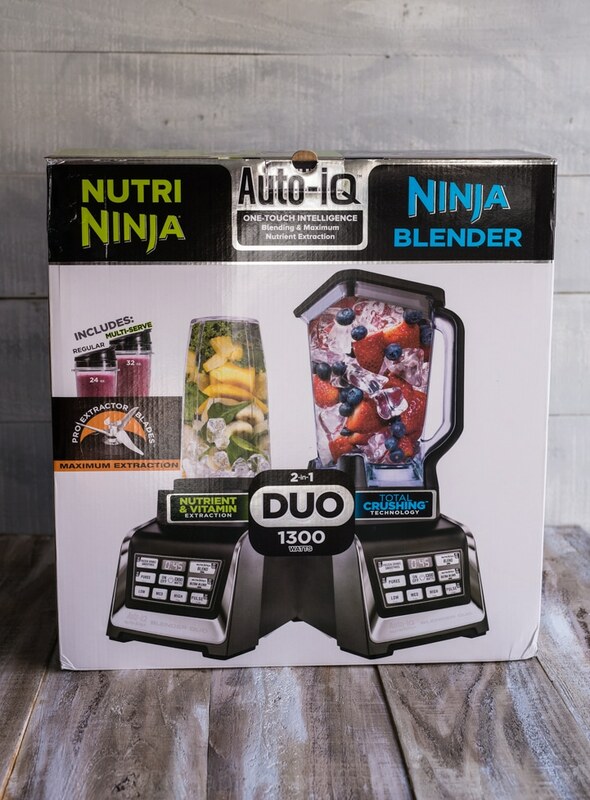 Its 1,500-watt motor makes it one of the most powerful Ninja Blenders and also adds a few more capabilities to your kitchen. Not only can it handle all the smoothie, juice making, and ice crushing of the other blenders, but it also chops dry foods and mixes doughs. To accomplish this, Ninja added an 8-cup food processor bowl to be used with the unit. Included for use with the food processor are two special purpose blade assemblies. The first, a dough blade assembly, is specifically engineered to expertly mix dough properly. Second is the chopping blade assembly, used for slicing and dicing up all kinds of ingredients such as nuts and vegetables. The base features the added “Dough” setting, while still maintaining the familiar blend, crush, and single serve options. The powerful motor impressively mixes up to two pounds of dough in just 30 seconds. Your forearms will thank you later! Experience the ability to expertly mix, chop, and blend at the push of a button. Tasks that previously would have taken considerable time and effort can now be taken in stride. Imagine what you will be able to accomplish with your extra energy that you didn’t spend slaving over stubborn dough. Also, the fact the BL770 can do all of this means that you will no longer need a separate machine for those tasks. Blend with this one. Mix with that one. Chop with the other one. No! Nobody likes the feeling of finishing up in the kitchen and looking around to find a graveyard of appliances and utensils. Each and every one represents another item that has to be taken down, cleaned, and then stored until next time. Don’t settle for the days of having another kitchen appliance for each and every kitchen function. Instead, meet a multi-use system that is ready to tackle it all with ease. Our last blender package introduces another unique function, perhaps the most futuristic of the ones discussed here. With this baby on your countertop, you’ll be on your way to becoming the Jetsons! Using a system coined as “Auto-IQ technology,” this base comes with timed and intelligent pre-set blending programs built right in. Also received with the blender package is a cookbook that features 75 recipes. By utilizing the Auto IQ system, you no longer need to guess or “go with your gut” when trying to decide the best settings for a particular outcome. It also allows you to “set and forget,” in the sense that you do not have to be present to shut down the blender. It uses the correct timer and specific settings to complete the chosen program, and then automatically stops blending when done. As an added safety feature, Auto IQ senses which container is on the base and only allows you to use functions that are compatible with the container. This, for instance, helps prevent accidentally breaking one of your containers by using it with too powerful of a setting. With “smart” products on the rise, we can only expect that Ninja will continue to push the limits. Developing technologies like Auto IQ gives everyone the chance to become a lean, mean, blending machine. Why should you have to look up or memorize the perfect settings and times for different options? We all know that our memory and attention is better spent elsewhere. Technology has been making our lives better and easier in many other areas. Take, for instance, your cell phone. How many contacts are stored in your cell phone? Now, how many telephone numbers do you have memorized? Exactly! Just as your microwave has special buttons programmed to achieve precise results, the BL642 is ready to assist you in the kitchen. Fun and futuristic Auto IQ function that lets the machine take care of all setting and timing. While all products are subject to downfalls and defects, the thousands of positive user reviews shift the odds in your favor. For comparison, you are more likely to be someone who suffers from dyslexia than to be the recipient of a faulty blender. To realize what this means, think of how many people you know that are dyslexic. Got a number? Good, now go buy yourself a great Ninja blender! Alternatively, you can be like I was, depriving myself of delicious blended goodness for one simple fact: I owned a bad blender. My only regret is that I waited as long as I did to come to my senses and invest in a quality blender. If you are someone who enjoys smoothies, juices, milkshakes and the like, then Ninja is a clear choice. When you look at the increasingly intuitive and efficient products in our world today, it is no wonder blenders are more impressive than ever. Following a growing trend that is pushed along by our digital and connected world, blenders are showing better quality, becoming easier to use, and are more affordable. There’s an old saying that goes like this: “You can have fast, reliable, or inexpensive. 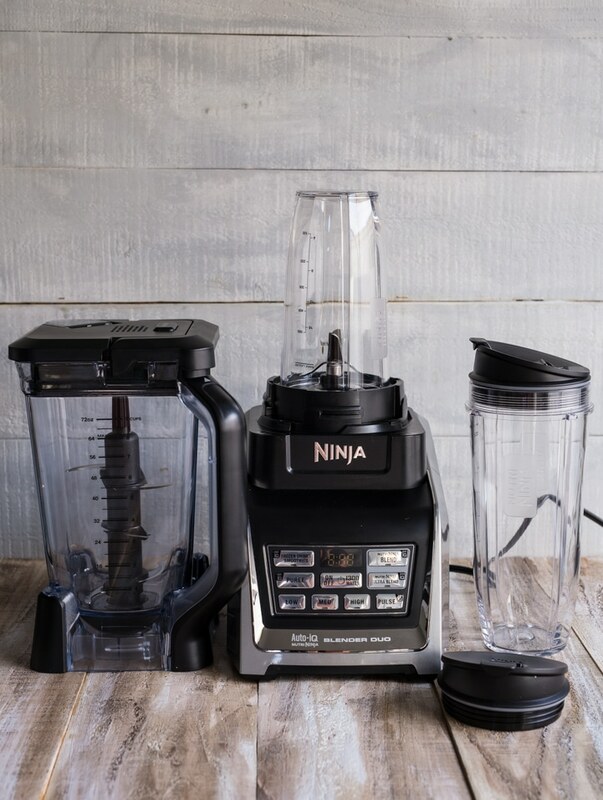 Choose two.” With products like Ninja Blenders, we believe you don’t have to choose. The options showcased in this best Ninja Blender Review demonstrate this belief.